Building Better Opportunities Stafford & South Staffordshire are celebrating having been awarded Excellence in Social Inclusion. 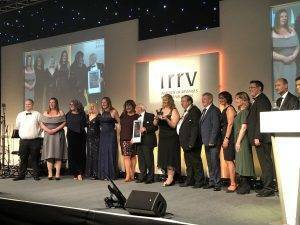 The black tie awards gala hosted by The Institute of Revenues Rating and Valuation took place at Telford International Centre on Wednesday 10th October 2018. Shortlisted organisations from across the country came together to celebrate the impact of Welfare, Benefit and Revenue initiatives. Building Better Opportunities Stafford & South Staffordshire were commended for their work with vulnerable individuals, resulting in the top award for Excellence in Social Inclusion. The programme was also awarded ‘Highly Commended’ in the Excellence in Partnership Working category. The Building Better Opportunities Stafford & South Staffordshire partnership receiving their award. Building Better Opportunities Stafford & South Staffordshire is a partnership of 14 organisations from across Stafford and South Staffordshire who work together to tackle the multiple barriers to employment that residents face. 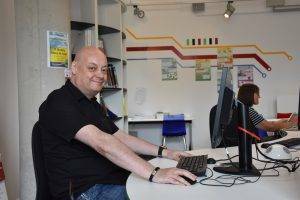 The programme, jointly funded by the European Social Fund (ESF) and the National Lottery, through the Big Lottery Fund, focuses on a holistic approach addressing residents’ mental and physical barriers in a bid to move them closer to employment. The partnership is led by Business Enterprise Support (BES) and made-up of a variety of strategic and delivery partners including: BEAM, Citizen Advice Bureau Staffordshire South West, Fuse Enterprise CIC, South Staffordshire District Council, South Staffordshire Housing, South Staffordshire Work Clubs, Stafford and Rural Homes, Staffordshire Chambers of Commerce, Staffordshire Women’s Aid, Support Staffordshire, Upper Moreton Rural Activities, University Hospital North Midlands and Youth Enterprise. 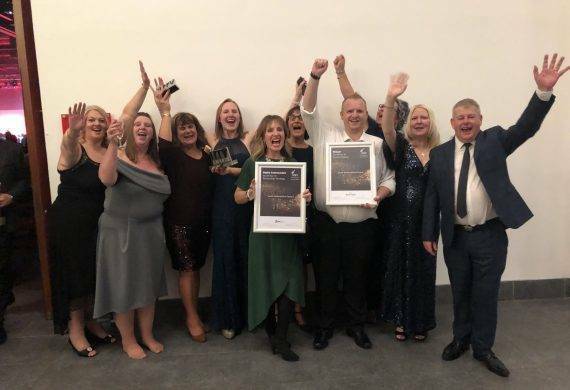 Judith Kirkland OBE, CEO Business Enterprise Support (BES), commented on the accolade: “We’re delighted to be recognised for the valuable work the project delivers to residents across Stafford and South Staffordshire. For more information about Building Better Opportunities Stafford and South Staffordshire complete the green form at the bottom of the page or call 01902 696228.